Although I have the tendency to switch around skincare to test different products, there has been one tried and true addition to my routines that has stayed consistent in the 4+ months since I first tried it. 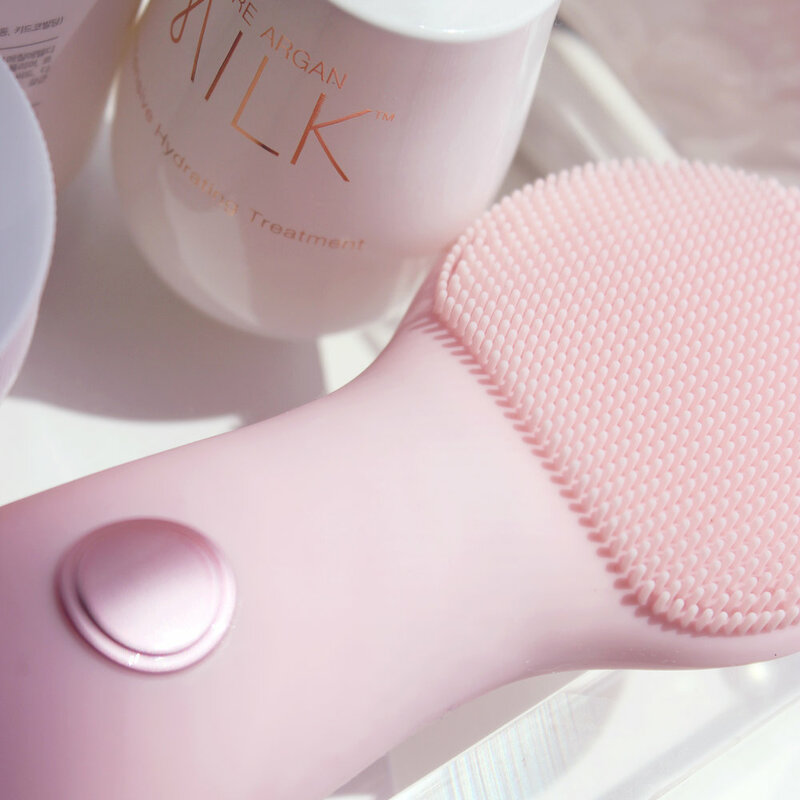 It's impressive what adding one extra tool to my routine could do, but the Nion Beauty Facial Brushes have become a regular staple in my skincare regimen. 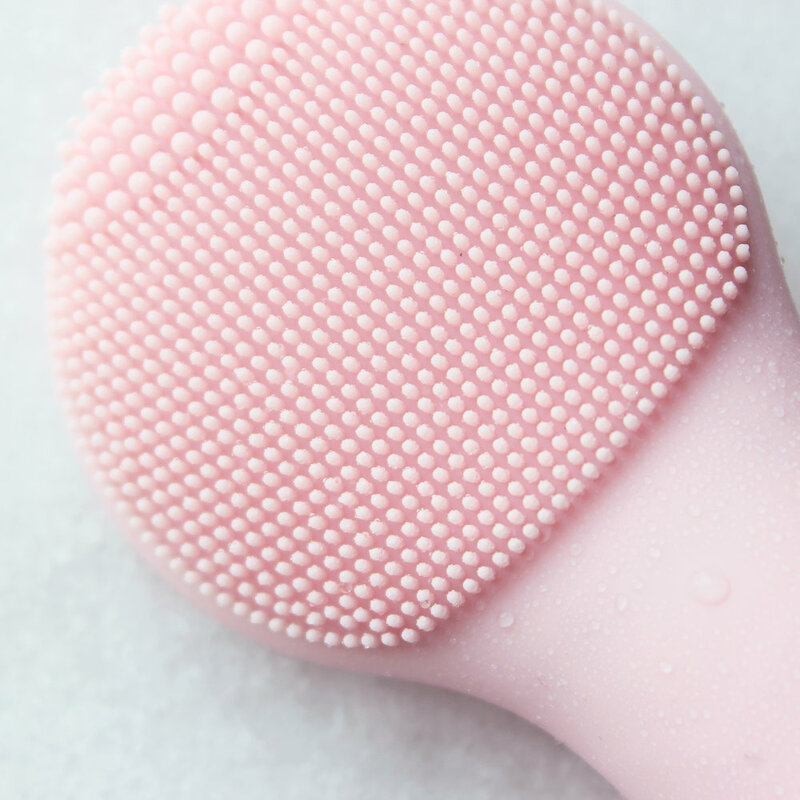 Prior to using this silicone face brush, I had kind of written off cleansing tools after a few less than stellar experiences with options that were too harsh on my skin, and felt like they were doing more damage than good, but I'm glad I gave this one a shot! Let's chat about the details. What it is: A silicone cleansing brush that has the option to vibrate/pulsate at three speeds, and helps to break up congestion and gently exfoliate. Using the vibrations to help cleanse rather than causing harsh friction is what makes it feel a lot gentler on the skin while still being effective. The head of the brush is also slightly flexible so you can work into the sides of your nose or around your eyes pretty smoothly, and the vibrations feel soothing rather than too strong or aggressive. It has a 3- minute timer, and it lets you know when to switch to the other side of your face halfway through the recommended cleansing time. It's also rechargeable, and super easy to keep clean as the bristles are flexible and easy to rinse through. It's also pretty compact, so it'd be easy to travel with! I have tried their travel-size options and they're just as powerful and pretty tiny! 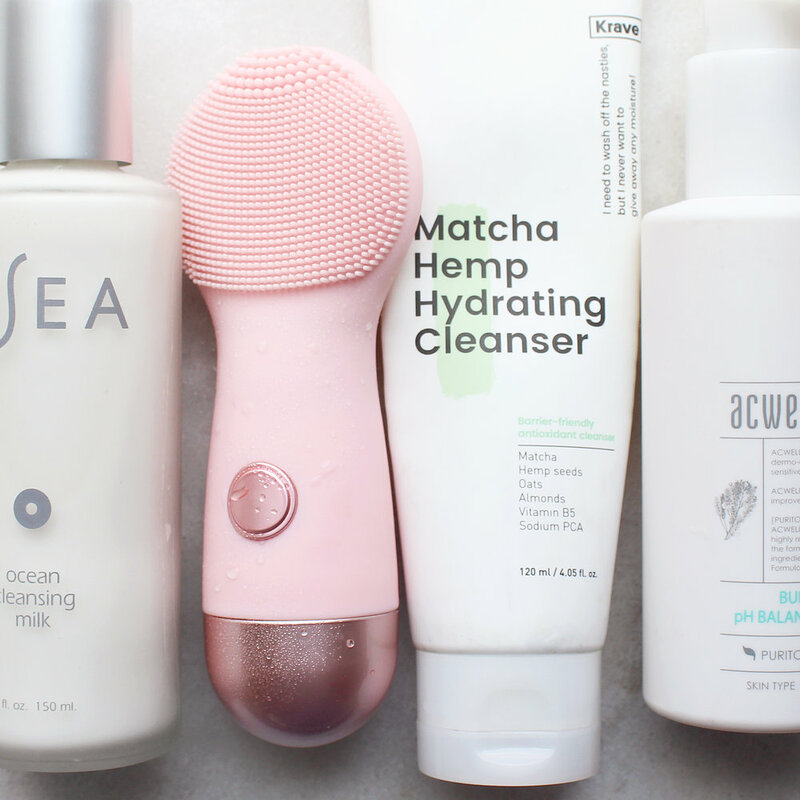 How to use it: After trying this tool with a few different types of cleansers, I find that I prefer it with non-foaming gel cleansers, or creamy cleansers. Once you turn it on, you can pick the speed you want, and it runs for three minutes, letting you know when it's time to cleanse the other side of your face. I like to move in small, circular motions, and sometimes I'll spend a little extra time on my more congested areas around my t-zone and chin. Once it shuts off, I rinse it with water and go through the bristles quickly to make sure I got everything, and you're good to go! I also sometimes use it to help massage off masks, and it makes it easy to get off those random bits of dried mask that try to cling to your face. I mainly use this during my nighttime routines, but sometimes it feels great just to get the blood in my face circulating in the mornings. Results: As I've continued to learn more about what my skin wants, I've always tried to find the balance between over cleansing and under cleansing. My skin can be sensitive in certain areas, and need more deep cleaning in others, so trying to find the right products and tools that work for my whole face can be tricky. I deal with texture, uneven skin tone and congestion, and while I've pinpointed great skincare products to help treat, the Opus Luxe has been the tool that's helped to not only make sure I'm cleansing long enough, but also breaking up my congestion without irritating the sensitive spots on my face. I've also been able to simplify my routine to using less physical exfoliants because I don't find myself needing them as often. Especially in these hotter summer months when my skin just feels clogged up at the end of the day after sweating and being outside, this just helps loosen up all that grime and grit. Overall, I've noticed the biggest improvements in the texture and tone of my skin, and this type of tool is something I definitely think is worth the long term investment. I feel like I'm not rushing through my cleansing step anymore, and that I'm getting a deep clean without stripping my skin. But this is just my story! You can check out a video here to see some other people's results and experiences with the Opus Luxe, and where they were at before incorporating it into their routine. Also, check out this IG post in my feed to enter the giveaway to win your own Opus Luxe! Good luck!